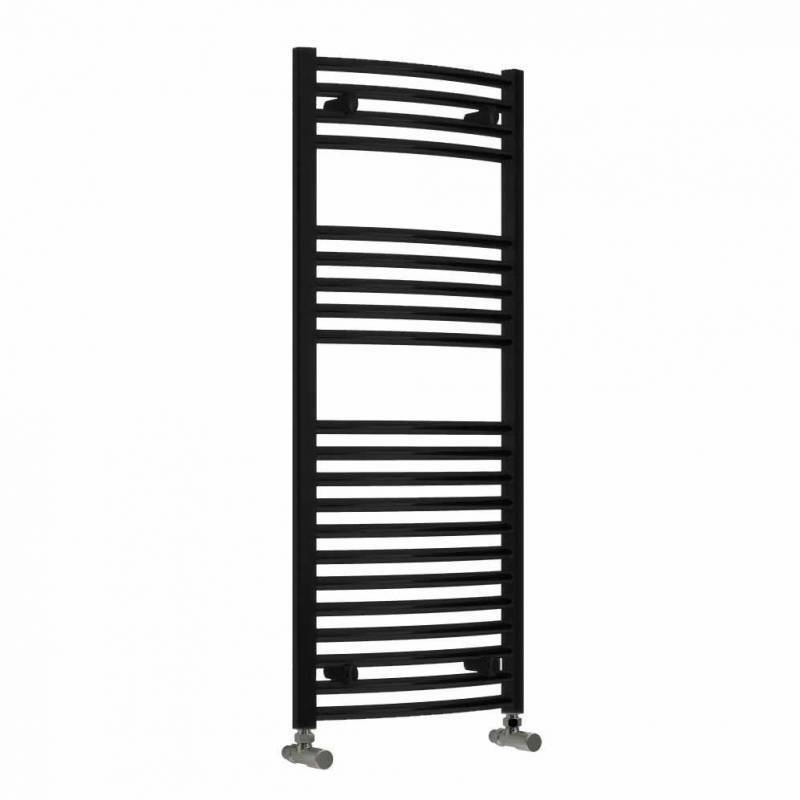 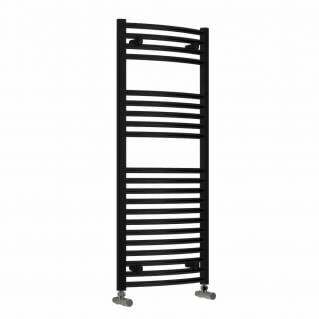 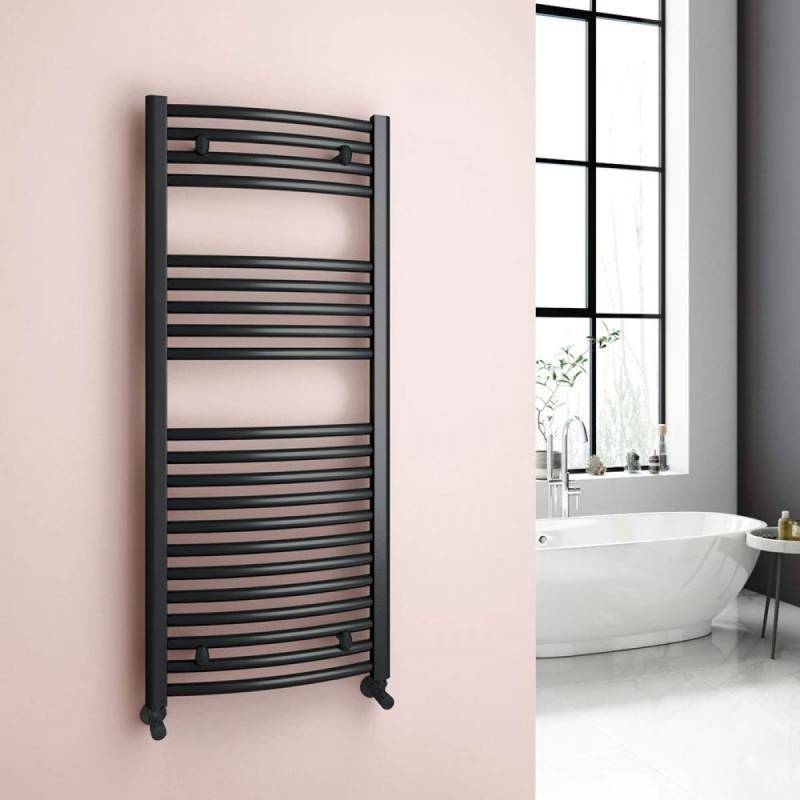 The Reina Diva Electric Curved Heated Towel Rail 1200 x 500mm Black is a contemporary style electric heated towel rail featuring a Curved rail design with a Black finish and a standard heating element with on/off control. 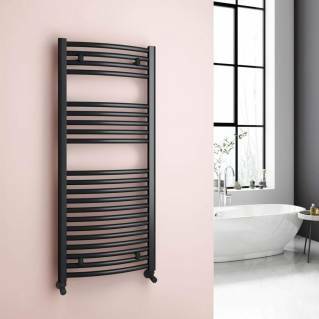 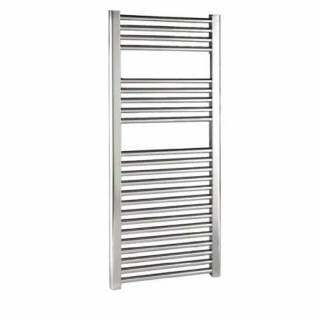 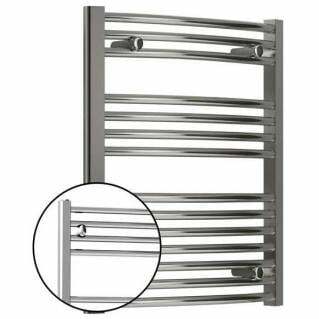 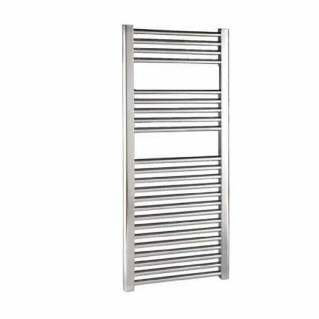 Part of the Reina Diva Range, this electric heated towel rail is perfect for the modern bathroom and comes supplied with a 5 Year Manufacturer's Warranty. 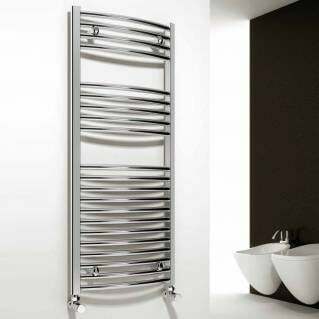 * Image is for illustration only. 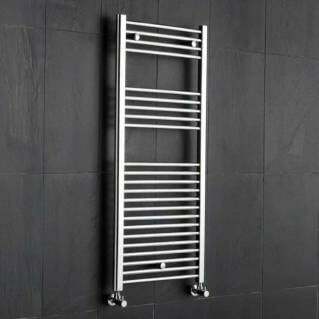 Please refer to sizes, finish, tube quantity and rail design below.